To franchise your business, including offering and selling franchises or terminating existing franchisees, you must comply with state and federal laws governing franchising. Franchising is regulated at both the state and federal level in some states, and only at the federal level in others. A franchisor must provide the prospective franchisee a Franchise Disclosure Document together with copies of all agreements (an FDD) before it can offer or sell a franchise. Some states also require that the franchise offering be registered and approved by the state before the franchisor can offer or sell a franchise in that state. The offer and sale of franchises is governed by federal franchise laws that require the franchisor to provide to prospective franchisees an FDD at least 14 calendar days before the prospective franchisee signs any agreement or pays any consideration. This applies in all 50 states. The offer and sale of franchises is also governed by state laws that require the franchise offering first be registered and approved by the state before marketing for franchisees in those states and before the FDD can be provided to prospective franchisees. 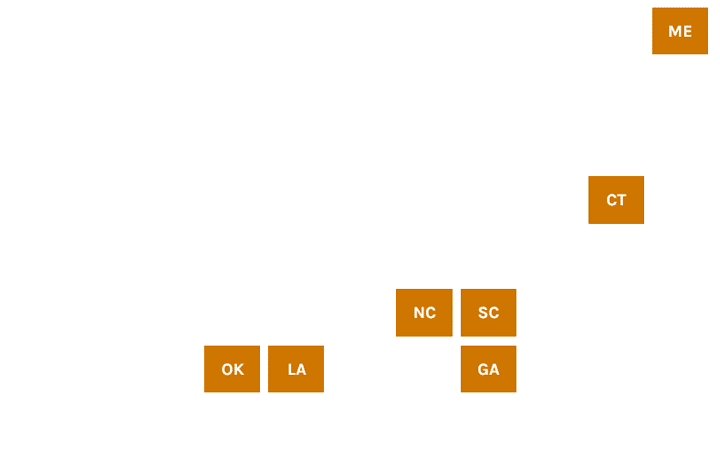 14 state franchise registration states (blue) and 5 business opportunity states (green) require registration, and 7 additional business opportunity states (orange) also require registration unless the franchisor has a federally registered trademark. An FDD will allow the franchisor to offer and sell franchises in 24 states (which do not have state franchise laws or state business opportunity laws) without any registration or filing fees. An FDD must be provided to prospective franchisees. 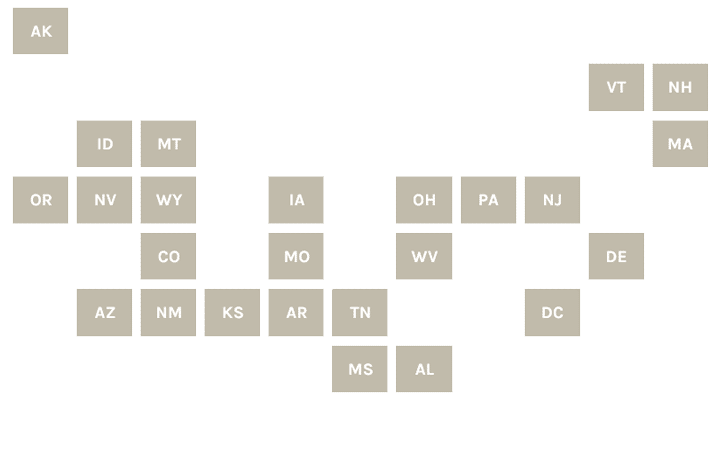 14 states have franchise laws that require the franchise offering first be registered and approved by the state before offering or selling franchises in those states. Registration with the state and filing fees required. 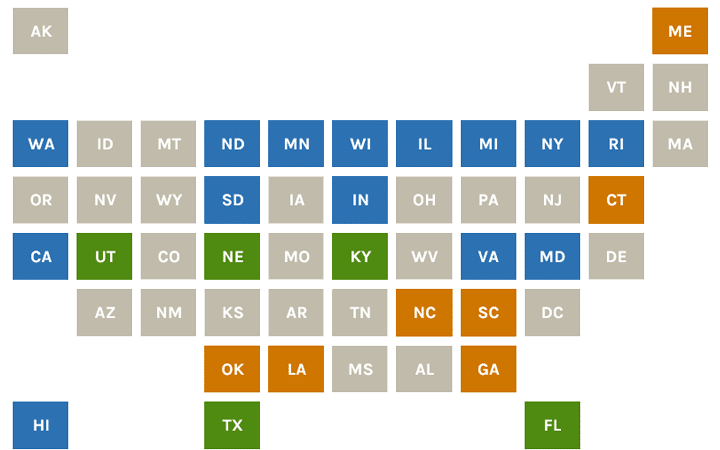 5 states have business opportunity laws that require a simple notice of exemption filing before offering or selling franchises in those states. 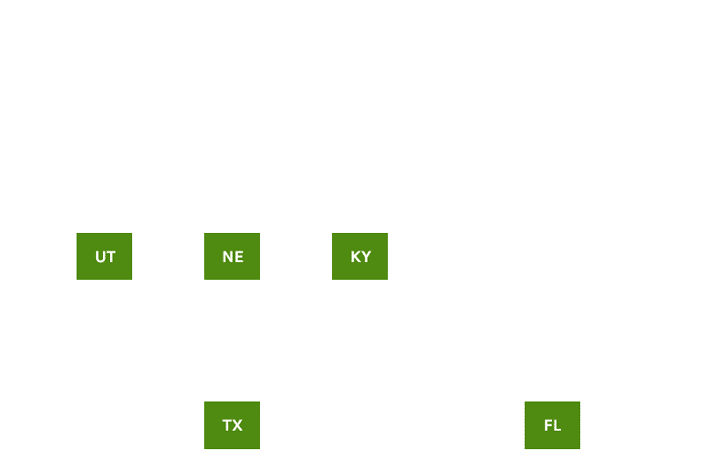 7 states have business opportunity laws that require a modified FDD and registration before offering or selling franchises in those states. Registration with the state and filing fees required. However, if the franchisor has a federally registered trademark, then no registration or filing fees required in these states. A franchisor must have a detailed Franchise Disclosure Document, Franchise Agreement, and ancillary contracts that comply with the federal franchise law, regardless of which state the franchise offering may be offered in. The FDD describes in detail the history of the franchisor and the franchise system, current information on the franchisor and the franchise system (including financial statements and the current number of outlets in the franchised system), and the franchise system itself (e.g., products and services offered, trademarks and other intellectual property that can be used, fees, and supplier relationships). 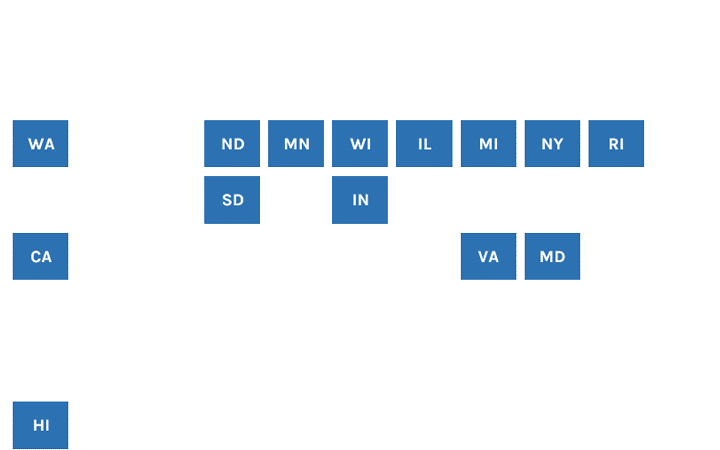 What is required by state registration? Registering your ‎franchise means completing a relatively simple filing in some states, but in most, the state will ‎do a comprehensive review of your documents to ensure they comply with applicable law and do not include ‎provisions that the state deems unfair. The state will also review your financial statements and, if it ‎determines that you do not have sufficient assets to perform all the duties you are promising to ‎franchisees, it will require some form of financial assurance from you. This is especially common for ‎new franchisors. Some options for providing financial assurance to the state include a cash infusion into the company, deferring collection of initial fees from franchisees, ‎escrowing initial fees from your franchisees with a bank until you perform all your pre-‎opening obligations to the franchisee, or posting a surety bond. Unfortunately, each state uses different criteria to determine whether these ‎‎“financial assurances” are necessary. Do I need to register advertisements I use to offer or sell franchises? California, Maryland, Minnesota, New York, North Dakota, South Dakota, and Washington require you to file or register any advertisements you want to use to offer or sell your franchise before your advertisements can be used. Sometimes, the state must approve the advertisement itself before you can use it. And a few states have specific disclaimers or other information that you must include in any advertisements. We will review and, if needed, revise, any advertisements and file or register them with states that require it. Do I need to provide (disclose) the FDD to a prospective franchisee? Yes. Once you have an FDD (registered and filed, if required), Franchise Agreement, and ancillary contracts, state and federal law require you to give those documents to a prospective franchisee before they buy the franchise or sign any binding contracts. The franchisee has a certain amount of time to review the documents, and after that, you can sell them the franchise (e.g., sign the Franchise Agreement and ancillary contracts and receive any initial franchise fees). Do I need to periodically renew or update my registration or FDD? Yes. In all states, you have to update your Franchise Disclosure Document to continue offering or selling franchises. All information in the FDD must be updated at least annually, and certain new information must be provided each year (including audited financial statements and the number of units existing as of the end of each fiscal year). You must file annual renewal applications in the 14 registration states (and any applicable business opportunity states), ‎usually within 90-120 days of your company’s fiscal year end. These renewal applications require you to update and file your FDD with the state. The time frame between filing a ‎renewal application and the state granting the renewal ranges anywhere from a few days to a ‎few months, depending on the state and the specific circumstances. If a material change or event occurs in the franchise system or with the franchisor, state and federal law also requires you to update your FDD and file it with certain states within a certain time period after this material change or event—even if your franchise offering is not yet due for renewal. Some states also have relationship laws which govern the relationship between the franchisor and existing franchisees. These relationship laws vary state by state, but usually regulate whether the franchisor can make changes to the franchise system during the term of a Franchise Agreement and whether the franchisor can terminate a franchisee for breaches of the Franchise Agreement (and whether the franchisor must give the franchisee a “cure period” to try and correct the breach).